The king may have retired following yet another Copa America final defeat on Monday but, even after the premature international retirement of Lionel Messi, the future of Argentina football remains bright. A period of transition is inevitable for Tata Martino’s Albiceleste, especially with the likes of Sergio Aguero pondering the prospect of following Messi’s lead. However, Argentina are blessed with a number of quality stars already making a name for themselves in Europe. This summer’s Olympics in Brazil could be a peak at what is likely to be a new look senior side for the 2018 World Cup qualifying campaign, which starts in October, with stars including Manuel Lanzini, Mauro Icardi, and Paulo Dybala all aiming to use it as an international stepping stone. 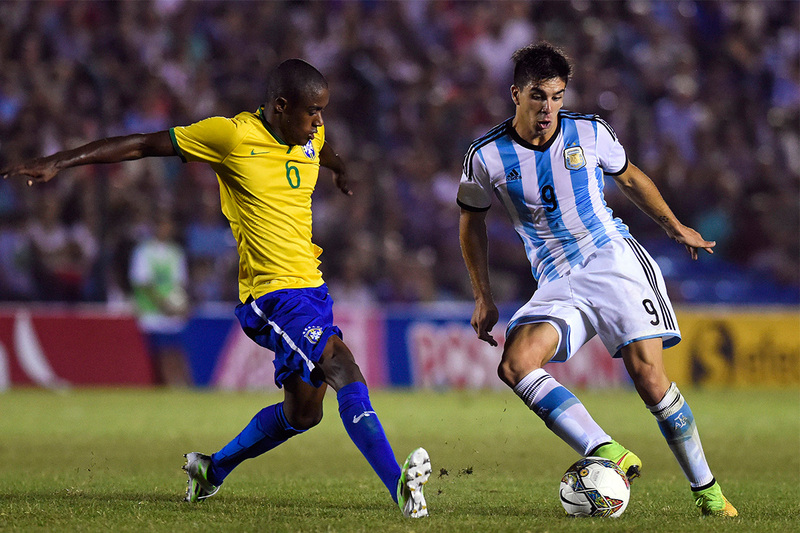 But even beyond that, Argentina’s next generation of rising stars offers their fans plenty to be excited about. Let’s take a closer look at some of the leading candidates most likely to establish themselves as genuine superstars over the coming years. The era of domestic dominance between 2009 and 2013 feels like a distant memory at the Estadio Jose Amalfitani. Despite fading into mid-table obscurity in recent years, though, Velez Sarsfield fans have at least had something to cheer through the emergence of winger Nicolas Delgadillo. Having burst onto the scene in 2015, it didn’t take long for the 5ft 9in star to find his way onto the respective radars of Spanish duo of Real Madrid and Valencia. While a move didn’t materialise, it’s a clear indication of the regard in which Delgadillo is already held; even if Spain isn’t his next destination, the 18-year-old is seemingly well on his way to achieving great things. Delgadillo didn’t have quite the same level of impact in 2016, with fellow youngster Maxi Romero arguably outshining his teammate. In fact, it has been the latter who has been heavily linked with a move to Arsenal in recent months.But it’s easy to forget Delgadillo is still very much in the infancy of his career. ; he certainly has plenty to give. The winger has already displayed the physical and technical attributes needed to thrive at the very top. If he can replicate the form of his breakthrough campaign next term, there’s no reason that he can’t continue his development. It could be some time before Delgadillo starts making waves in Europe but his flair and natural talent could soon be rewarded with a call up to Argentina’s youth setup; that could just be his next step en route to stardom. 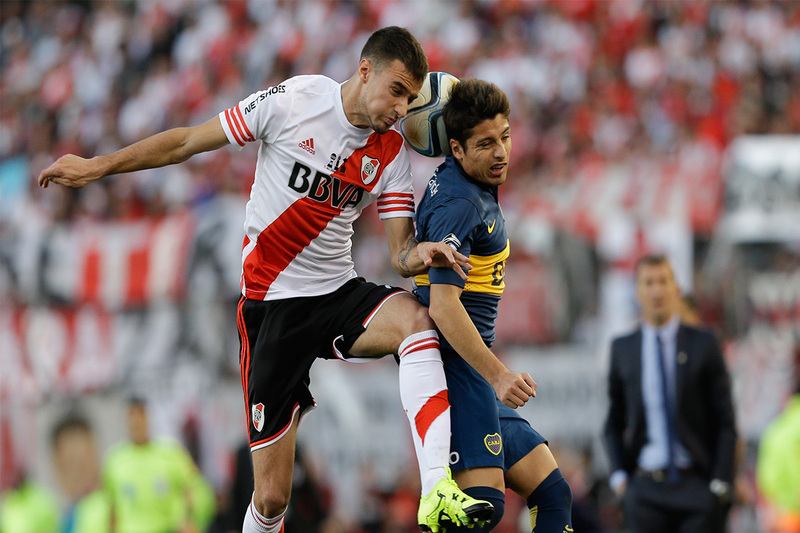 The European leagues are already blessed with plenty of talented Argentinians. While some are already in their prime, others are just on the cusp of becoming big stars. After sitting patiently on the peripherals throughout his maiden campaign in the Italian capital, striker Ezequiel Ponce could be the next big name to emerge. Having made a name for himself at Newell’s Old Boys, the bullish striker, who has often been likened to a young Carlos Tevez, snubbed Tottenham before making the €4.2m move to Rome. Having performed well during his early appearances for the youth team, scoring at a rate of nearly one goal per game, the striker suffered serious knee ligament damage in a UEFA Youth League match with Barcelona, and subsequently missed several months of action. However, rehabilitation has gone well and the 19-year-old will be eager to make up for lost time in 2016-17. Football moves at a rapid pace, and Ponce has fallen off of the radar outside of the Stadio Olimpico. Nevertheless, the striker could become a telling asset for Luciano Spalletti’s Giallorossi. Alternatively, the club may be willing to reconsider the possibility of loaning him out, as had been the plan prior to that injury last term. Either way, next season could be make or break for Ponce. If he is going to reach the heights forecast in the immediate aftermath of his Roma arrival, he needs to start making major headway as soon as possible. With La Maggica aiming to fight on several fronts, including the Champions League, the opportunities should arise. It could spectacularly fail, especially as nobody can be certain about his long-term reaction to those injuries. However, if he can take those chances, it could be the start of something truly special. If nothing else, the Italian-based Argentinian is certainly one to keep an eye on. Over the past decade or two, Argentina’s obvious attacking qualities have been supplemented by some of the best defensive midfielders on the planet. Javier Mascherano, Esteban Cambiasso, and Diego Simeone are just three of the names that spring to mind; Santiago Ascacibar could be next to join that illustrious group. Excitement surrounding the ball-winning Estudiantes star have been bubbling in Argentina for several years, but 2016 was his breakthrough year and is now being touted as a potential future signing for several Premier League outfits. With less than 20 league appearances under his belt, the slight 19-year-old is probably best suited to continuing his development at the Estadio Unico, where former midfield maestro Juan Sebastian Veron is the club chairman. Despite limited senior experience, the teenager is already demonstrating why insiders have been so enthused about his prospect. Many would argue that his energy and ability to regain possession has made him one of the most important players in the division this year as he played an instrumental role in the club’s run to Copa Libertadores qualification. Appearing in South America’s version of the Champions League should work wonders for Ascacibar’s development, as will his inclusion as Argentina’s youngest squad member for the upcoming Olympics. He doesn’t even leave his teens until next February, so time is certainly on his side. Give it another year, and a switch to Europe could be on the cards. As the son of former superstar and current Atletico Madrid manager Diego, Giovanni Simeone certainly has some big shoes to field. But judging from his early progress, that 20-year-old attacker has all the attributes needed to become a superstar in his own right. Having come through the youth ranks at giants River Plate, the youngster is currently on loan across the city of Buenos Aires at Primera Division rivals Banfield. And he’s thriving; a return of five goals and three Man of the Match awards this campaign, following seven in 18 last term, only tells half the story of a rapidly developing talent who has shown immense dribbling qualities from the right-wing. At 5ft 11in, the Madrid-born Argentinian is a threat from aerial duals too. Simeone has enjoyed a brilliant record for the U20s too, firing nine in nine to lead Argentina to the 2015 Sudamericano title in Uruguay. As one of the 35 pre-selected members of the Olympics U23 outfit, he’ll be hoping that his recent triumphs at club level will also land him a spot in Rio; perform in Brazil, and he could be fast tracked to the senior side before we know it. River Plate will almost certainly want to give him a fair crack of the whip at El Monumenal once he returns from Banfield, but his long-term future already seems destined for bigger and better things in Europe. It might be a little early for the youngster to capitalise on the current changing of the guard, yet he could be a huge star in future years. If he continues to progress at the rate he has since joining Banfield on loan, Simeone’s name might even appear at the World Cup in Russia. Unsurprisingly, Marcelo Gallardo isn’t limited to just one rising star on the books at River Plate. While Simeone is scoring goals on loan at Banfield to put his name into the conversation as far as international football is concerned, defender Emanuel Mammana has already acquired his first cap. With the way things have gone throughout the early stages of his career, there could be plenty more to follow. The 6ft centre-half made his club debut back in 2014, and has since played 22 league games over the last two seasons. While River Plate have been a little hesitant to pile on too much pressure too soon, the defender has shown immense stopping abilities. Despite his tender years, Mammana has developed an almost telepathic ability to sniff out danger with interceptions while he isn’t scared to put in a tackle either. Having already impressed for several Argentina youth sides too, the youngster was given his senior international debut within months of his club debut and is already being primed for a key role over the coming year. A positive showing at this summer’s Olympics could accelerate that progress even further. Mammana’s progress hasn’t gone unnoticed outside of Argentina either. Incoming Chelsea boss Antonio Conte was linked with a potential summer move while a number of Italian clubs have shown an interest too. However, if reports in France are to be believed, the 20-year-old could be joining Olympique Lyon imminently for a reported fee of around €8m. Whether it’s Lyon, Chelsea, or another potential suitor, Mammana has publicly voiced his intentions to leave for Europe this summer. If he takes the step up in quality well, he could become one of the game’s biggest defensive stars. A future at the top seems all but assured.